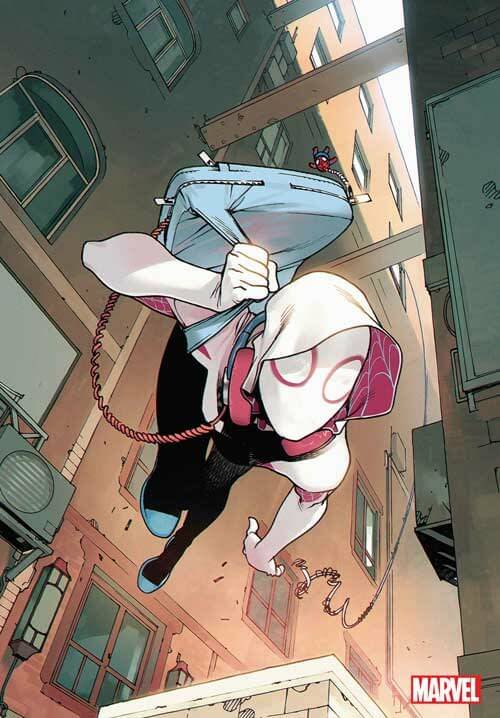 Bleeding Cool told you last year that Marvel had trademarked Ghost Spider, the new name for Spider-Gwen, for comic books. Already present in the cartoons, now it’s going full time in the comics as well with a new series to be announced at San Diego Comic-Con, to follow on from the recently cancelled series. Find out more at San Diego Comic-Con during Marvel Comics’ Spider-Man panel on the Friday, 20th July at 12:30 p.m. in room 5AB. As well as that Superior Spider-Man #1.